Adding foods rich in phytonutrients and antioxidants may help elevate your mood and reduce stress. Sleep deprivation has been linked with triggering a host of ailments including indigestion, mood swings, obesity and even depression. Lack of sleep or its inadequacy has long been associated with triggering stress and making one unable to manage stress effectively. Experts at the Ohio State University suggest that sleep deprivation may make you more irritable and pick fights with your partner. Increased stress levels may also expose a person to lifestyle ailments like diabetes, heart issues, and arthritis among others. On examining close to 43 couples, it was found that couples who slept for less hours (ideally less than 7 hours) had more inflammatory response toward an event of conflict. With every one hour of loss in sleep the probability of a greater hostile response rose by 6%. 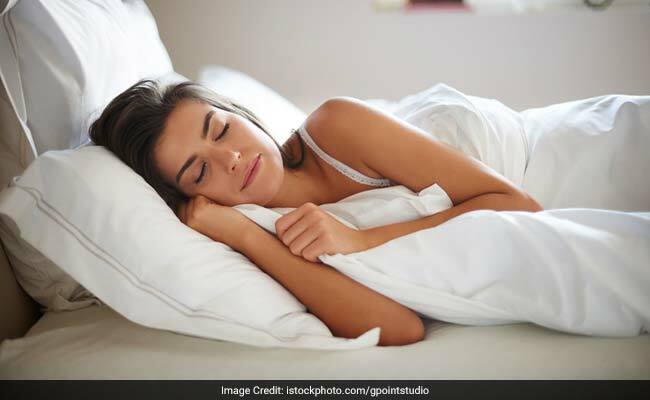 While sleep and stress levels are directly linked, diet can also play a crucial role in facilitating a good night's sleep and managing stress better. We share with you food items that can not only help you sleep better but also aid in reducing stress effectively. A range of food items can help you relax and sleep better. It is often said that taking a hot shower right before turning in is excellent to induce sleep. Try sipping on chamomile tea before you hit the bed. Warm milk, honey, leafy veggies, nuts and seeds are also considered beneficial for sleep. Your food has a huge connect with your mood. Adding foods rich in phytonutrients and antioxidants may help elevate your mood and reduce stress levels. Foods rich in pre and probiotics, fermented food items, vitamin c rich ingredients are all excellent to give your mood a boost and alleviate stress.